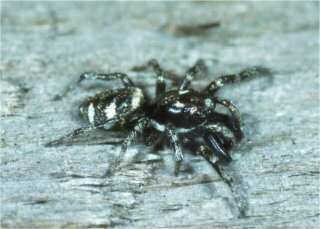 Zebra spiders Salticus scenicus mature in late spring and summer. Please note that the spider is a jumping spider, which does not make a web. The best distinguishing features are the stripes on the abdomen, the large front eyes and its jumping ability.